Hector arrived, along with some of his mates, almost four weeks ago. 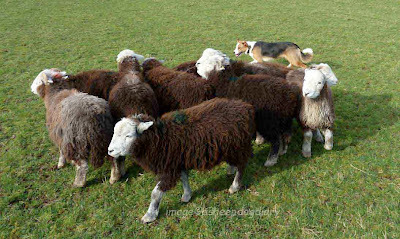 They have come to help us with our sheep work! The arrival of the sheep hasn't been without it's problems and frustrations. Within the first week, one was decidedly off colour and another came down with a bad leg, so two were removed from work. 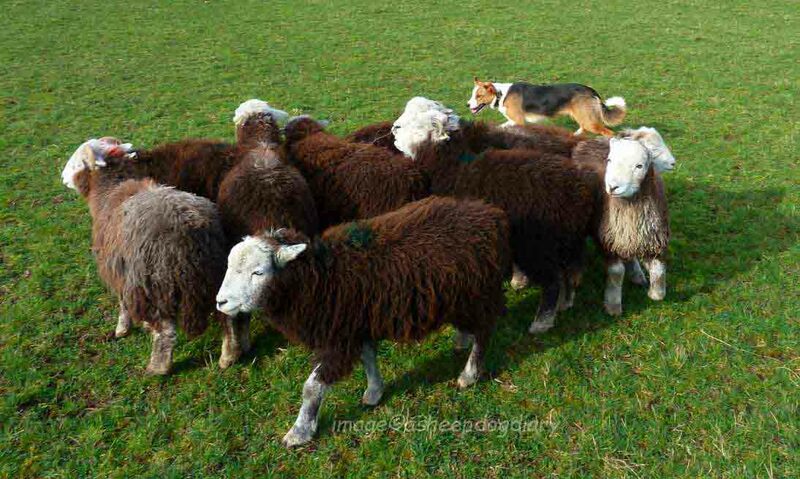 I had an idealistic image that arrival of sheep might mean being able to train my dogs on them daily and within a month see some advances in our training. Sadly that's not been the case. I have seen progression, but not necessarily in what I was wanting to work on. The sheep haven't been worked by dogs before so they aren't what we call 'dogged'. This has led to incredible frustration on my part. 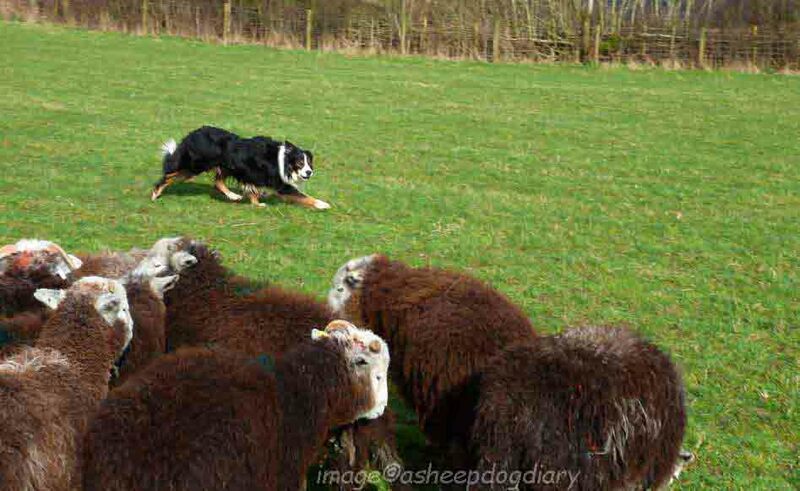 Whilst the sheep are ideal for Pocket Rocket, they're calm and there's much we can do with a bunch of calm sheep, Handsome Lad has struggled to move them. He had started to drive and I need him to be able to move them, but they just wont budge. Nor will they budge for my friend's Trials Girl and she's supposed to be a professional. It's been suggested I'm doing something wrong ... that may well be the case, but it's yet to be suggested what I'm doing wrong and I haven't got the fogiest what it might be I'm doing wrong, if I am! So, for the time being, Handsome Lad and I are working on improving the start of his outruns, and his flanking. I am very pleased with the work Pocket Rocket is doing. 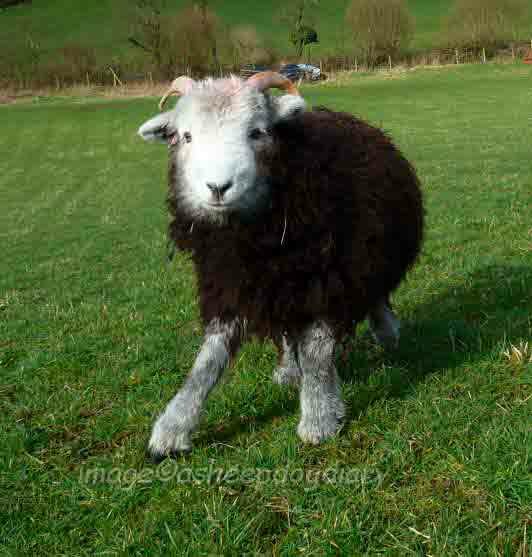 She's now worked sheep about four or five times. This short video shows her lovely right handed flanks, she's gentle with the sheep but she can be tough with them too. See if you can get her to stop on the other side of the sheep to you and balance them.